Many people struggle to keep their dogs out of their beds at night. These 10 Great Dog Beds For Small Dogs are perfect for keeping your puppy out of your bed, but settled comfortably at bedtime. A great comfy bed for your dog is a must have to keep your bedtime routine simple and without disruption. 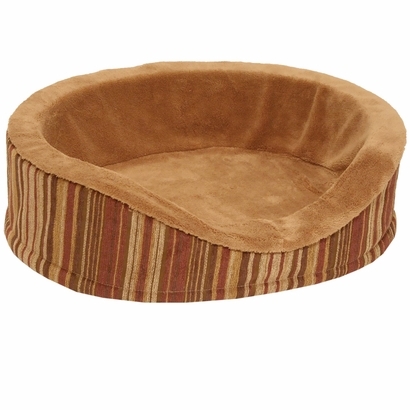 This great velour dog bed is not only soft and comfy, but curved with sides that make your pet feel safe and protected at bedtime. 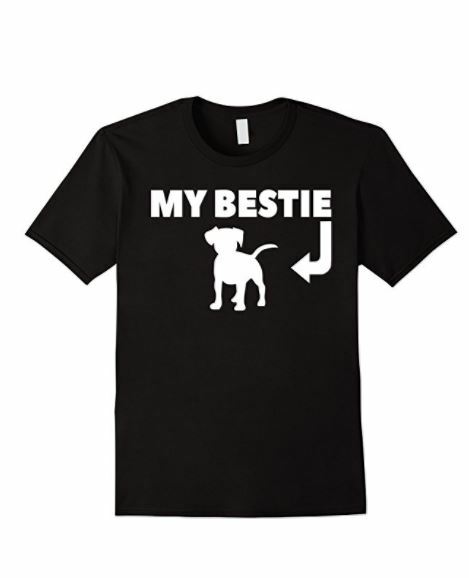 The soft velour fabric will be reminiscent of another animal and provide comfort your puppy or small dog needs. 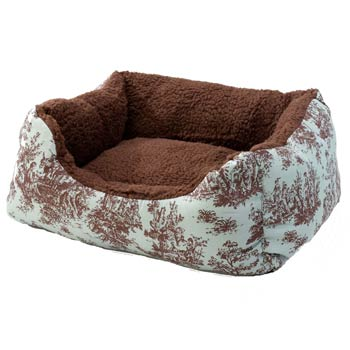 Aspen Pet Antimicrobial Deluxe: This is a soft and comfy bed that also provides an anti-odor shield to fight against those occasional accidents. 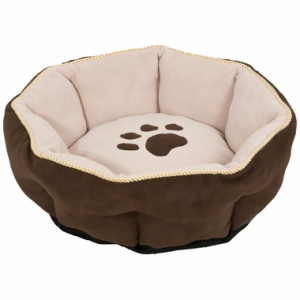 Aspen Pet Sculptured Round Bed: This bed is a great choice for your dog that likes to “dig” a hole into bedding. This bed has higher sides that give your dog the feeling that they are hiding from others. 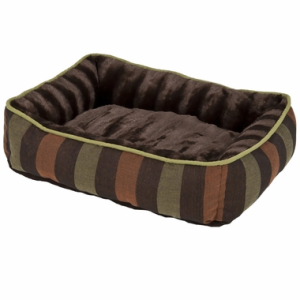 Petmates Fashion Rectangular Lounger: This is a great option for a puppy that likes being snuggled. The higher sides are great for giving them comfort, while being low enough they can get in and out easily. 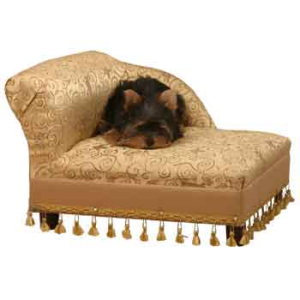 Cleopatra Chaise Lounge Bed: This is a fun fantasy bed that is perfect for the pet who is a bit on the pampered side. This is definitely a dog bed fit for a queen! 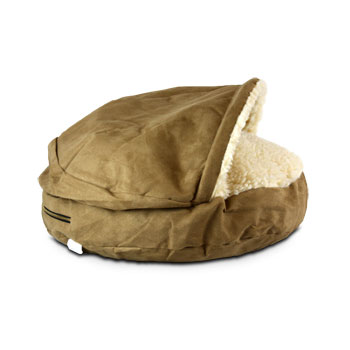 Snoozer Luxury Cozy Cave Pet Bed: This is a great comfy bed for your pet who likes to tuck under blankets. Half open, and half covered this offers your dog a great place to snuggle. 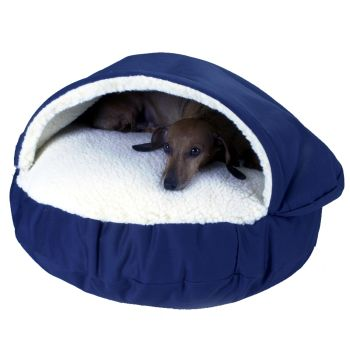 Snoozer Orthopedic Luxury Cozy Cave Pet Bed: This offers the same comfort of the bed mentioned above, but with a luxury orthopedic bed instead. Alphapooch Orthopedic Lounger Bed: This is a more traditional dog bed that offers orthopedic bedding, soft comfy cover and a low to ground bed that every puppy will love. 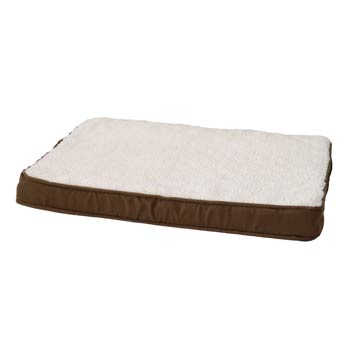 K&H Deluxe Ortho Bolster Sleeper Dog Bed: This is a great luxury orthopedic dog bed that any puppy will love. Snuggly, attractive and comfortable for beds of all ages. 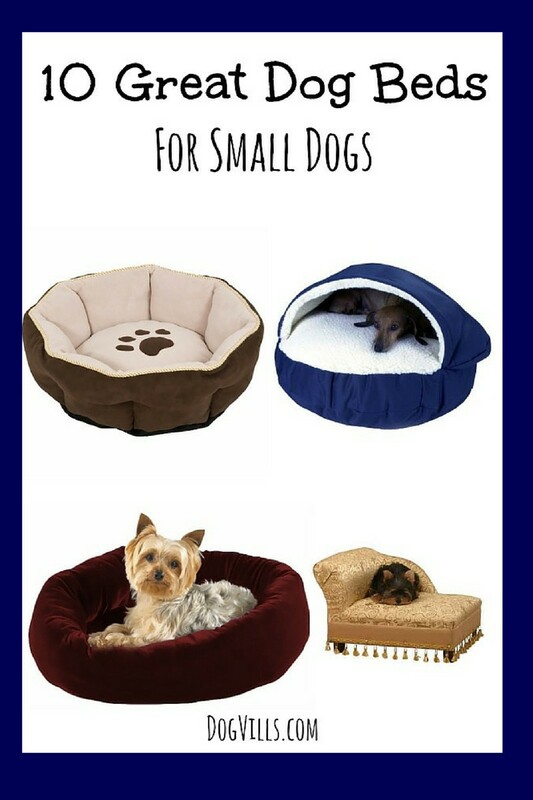 Finding the right dog bed for small dogs is important to make everyone in your home more comfortable at bedtime. Offering up a great and comfortable dog bed for your pets will help them to feel loved, comfortable and safe in your home. Looking for beds for your big buddy? Check out our favorite large breed dog beds! 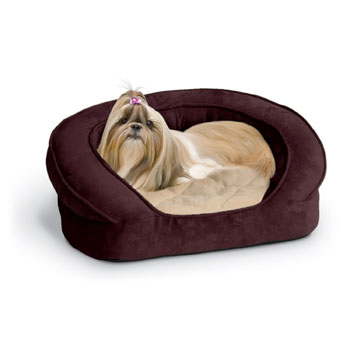 Which of these great dog beds for small dogs would your little pooch love to relax on? Tell us in the comments!